Africa's Best and Least Expensive Hunts !!! 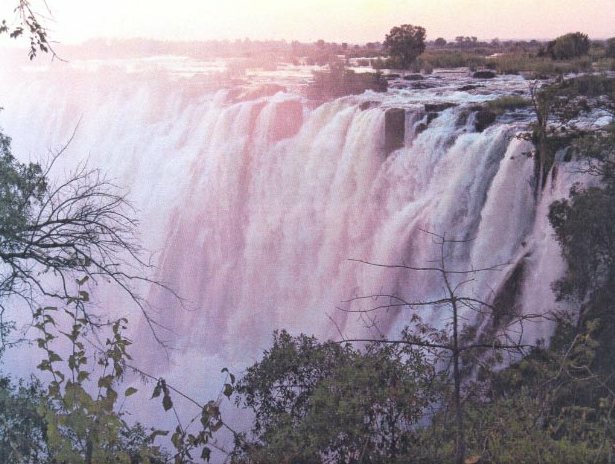 Fly from Johannesburg to Livingstone, Zambia, which is next to Victoria Falls on the Zambia side. Consider an optional 1-3 day stay at a luxury hotel on the Zambezi River next to the Falls such as the Royal Livingstone or the Zambezi Sun. Then be driven to Dendro Park next to Kafue National Park ($1,000 roundtrip or you can fly for $2,200 roundtrip shared by up to 3 passengers). Dendro Park is a large, fenced concession (to keep the poachers out) and has been open to hunters since 1998. 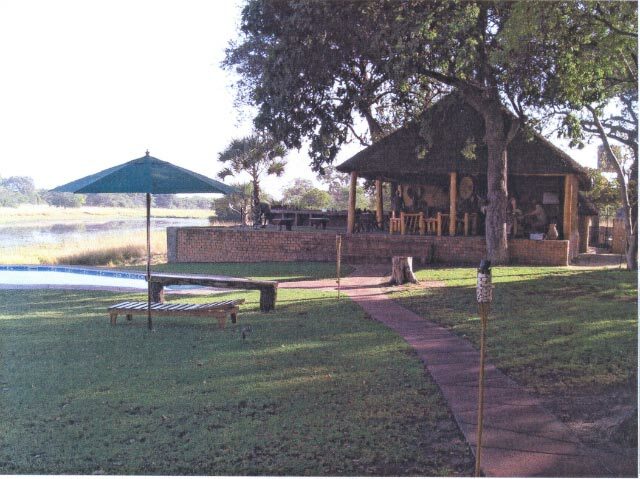 It is known for its big Cape Buffalo and Sable as well as numerous other species indigenous to Zambia. Includes 7 full hunting days and the right to hunt 20 other species for the trophy fees. 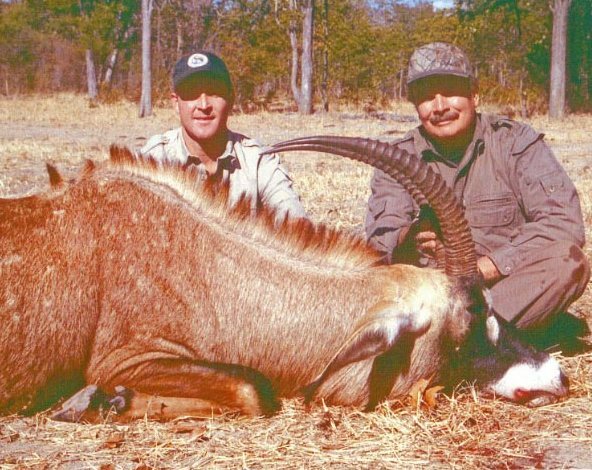 Includes 7 full hunting days and the trophy fees for Buffalo and Sable and the right to hunt 20 other species for the trophy fees. 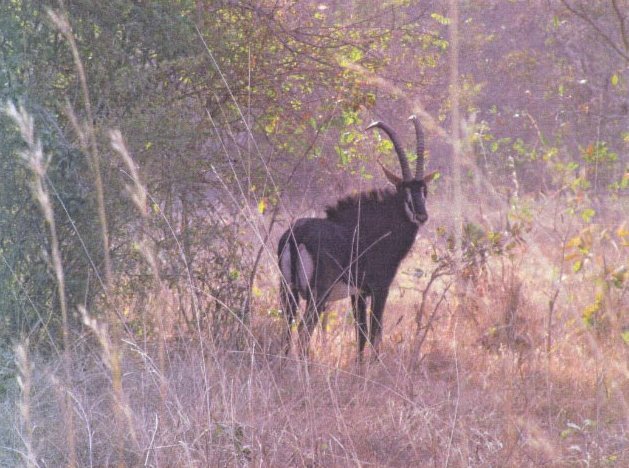 Chobe Bushbuck $850, Bushpig $600, Southern Bush Duiker $250, Southern Impala $250, Puku $850, Common Reedbuck $950, Sharpe's Grysbok $600, Warthog $350, Blue Wildebeest $1,100, second Cape Buffalo (if booked in advance) $7,500, Crawshay Defassa Waterbuck $1,500, Southern Greater Kudu $1,950, Lichtenstein Hartebeest $1,950, Oribi $950, Burchell's Zebra $1,950, Kafue Flats Lechwe $3,700, Livingstone Eland $2,950, Southern Nyala $2,750, Southern Roan $10,500, and Sable Antelope ($6,000). *** Additional days may be booked for $650 ($250 per observer). Hunting license $400. 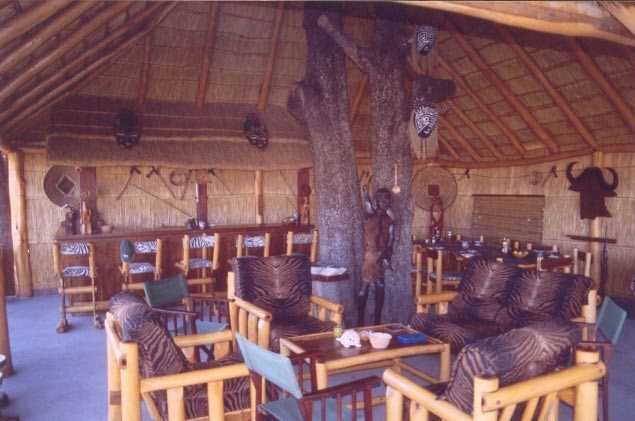 $250 per person transport and food-lodging charge for the day in before the safari and the day out after the safari. EXCLUSIVE 5-DAY ADD-ON FOR $750 !!! Return to Johannesburg and take a 190-mile commercial flight to Polokwane in northern South Africa and hunt the Balla-Balla Conservancy for 5 full days. Same price for observers! Trophy fees are: Brown Hyena $1,250, Blesbok $650, White Blesbok $750, Black-backed Jackal $100, Mountain Reedbuck $750, Red Duiker $1,250, Steenbok $450, Giraffe $2,850, Gemsbok $1,350, Klipspringer $750, Red Hartebeest $1,250, Common Waterbuck $1,250, Cape Mountain Zebra $2,850, plus the Conservancy is known for its huge Southern Greater Kudu $1,650. There is a $250 per person transport and food-lodging charge for the day in before the safari and the day out after the safari. Additional days may be added at $350 per hunter and $150 per observer. 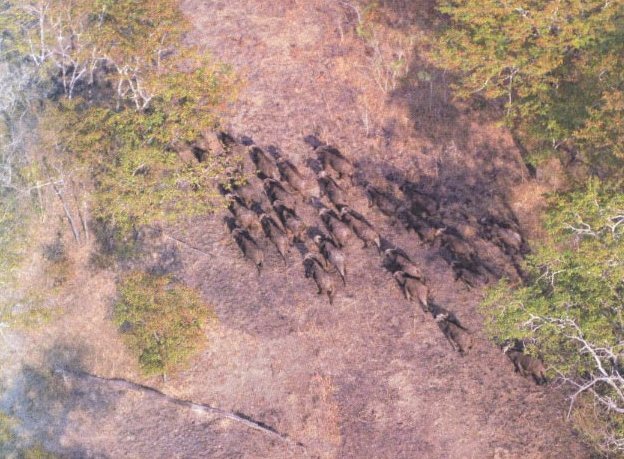 Hunters to Dendro Park have had 100% success on big-bossed Cape Buffalo since the opening to international hunters in 1998. 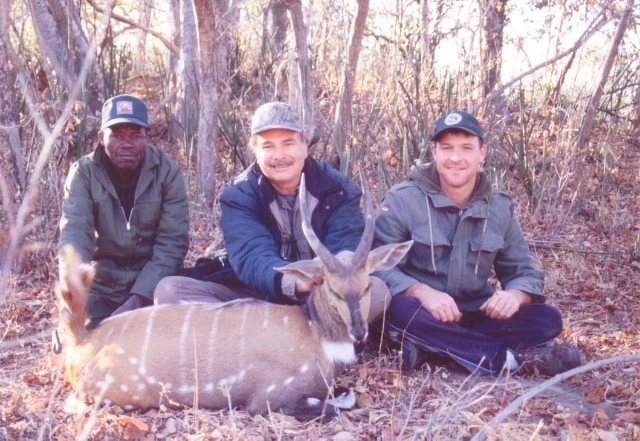 Ken Wilson hunted there in 2003 for Southern Roan, Chobe Bushbuck, and Crawshay's Defassa Waterbuck. You can see what it's like in Sportsmen on Film's DVD, "Zambia Safari: Buffalo and Roan."